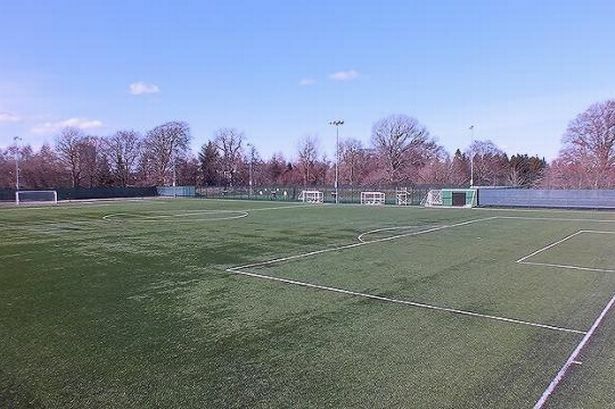 East Kilbride Community Trust have been given the go-ahead to construct a new 304-seater stand at K-Park Training Academy, almost doubling the ground’s seating capacity. South Lanarkshire Council’s Planning Committee gave the proposals the green light yesterday (Tuesday), approving the Trust’s plans to construct a second stand at the venue and extend their current changing facilities to accommodate toilet provision. The venue, situated in the grounds of Calderglen Country Park, plays host to East Kilbride Football Club home matches and a variety of charitable and educational events throughout the year. A main stand, which seats 358 spectators, was completed in 2010 and the additional spectator area to the west of the existing pitch will take K-Park’s seating capacity to 658. A total of 45 parking spaces will also be created, with the Trust earmarking a completion date of summer 2016. Monique McAdams, chief executive of East Kilbride Community Trust (EKCT), the charity which owns and runs K-Park, insisted the work was essential to cope with the demand from the community. She told the News: “We are in the process of putting our exciting expansion plans forward for a new 304-seater stand and additional toilet and changing facilities at K-Park following huge demand, not only from football spectators, but also from the community, businesses, schools and charities who all use our facilities on an ongoing basis. “Over 250,000 people have already come through our doors this year. “Almost 1000 kids over the summer took part in our holiday sports camps and over 1000 primary seven pupils from East Kilbride and Strathaven took part in the end of year sports transition days, which helps ease them into high school. One complaint was raised on the grounds the road network could not cope and current parking problems would be compounded by the extension, however, Roads and Transportation Services had no objections to the plans.